The Mercedes-Benz Arocs 3245 is one of the most complex trucks in the world. Soon, it will also be one of the most complex Lego sets in the world too, thanks to the master builders at Lego and Daimler AG. 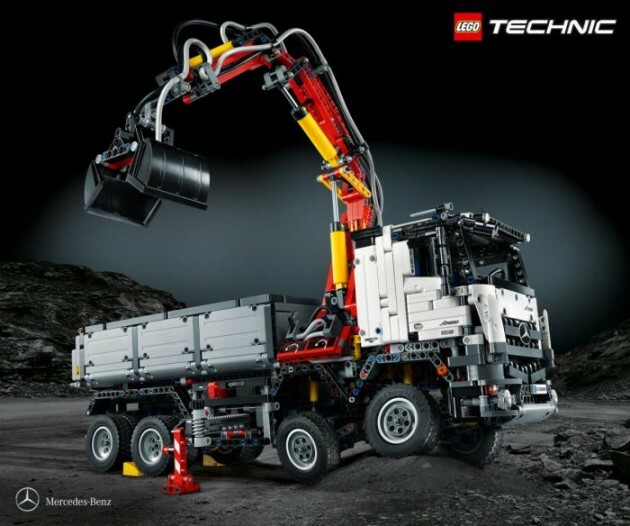 Lego and Daimler are once again partnering up to deliver a Mercedes-Benz Lego Technic set, this time of the Mercedes-Benz Arocs 3245. However, this Lego truck is more than just a bunch of bricks. 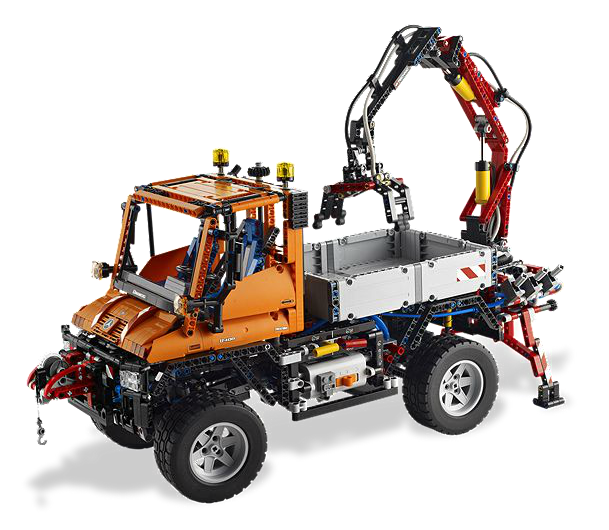 The Lego Arocs will have eight fully articulated wheels and a rotating grabber arm powered by functional pneumatic actuators! Thanks to Lego’s Pneumatics 2.0 system, the truck’s arm will be able to move. In order to make a more accurate Mercedes truck model, the Lego design team behind the set actually visited the Mercedes-Benz Trucks production facility in Wörth, Germany. They got a behind the scenes look at the production of the Arocs at the factory, which helped them assemble it on a much smaller, brick-based scale. However, just because the Lego Mercedes-Benz Arocs 3245 is smaller than the real thing does not make it small by any means. The set is one of the most complicated and advanced Lego has ever developed. It is made up of 2,793 separate pieces. Once completed, the Lego truck measures 12 inches tall, 5 inches wide, and 21 inches long. That’s certainly no Duplo set! 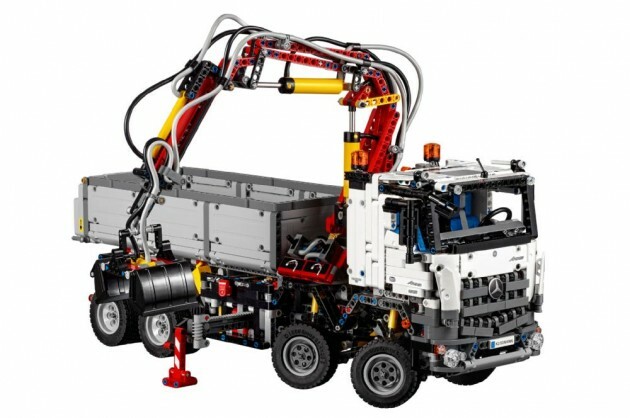 The Lego Mercedes-Benz Arocs 3245 set will be a part of the Lego Technic line. Technic sets use gears, pivots, and other components to bring motion to Lego kits. Lego has teamed up with Daimler and Mercedes-Benz in the past to create another Technic set: the Lego Mercedes-Benz Unimog U 400, with 2,800 pieces. 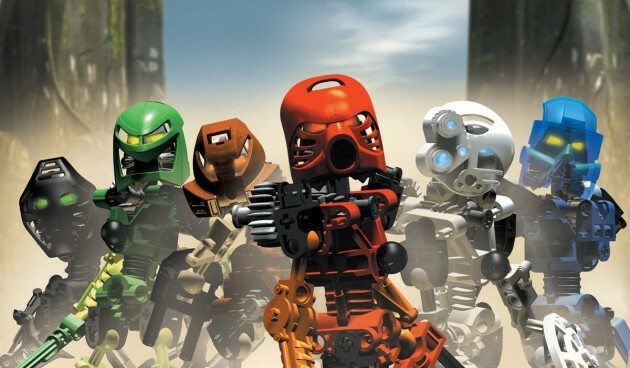 The Lego Technic also led to the creation of the popular Bionicle line of brick-based action figures. Imagine these guys with pneumatic-powered moving parts! You won’t have to wait long for this massive building kit. The Lego Mercedes-Benz Arocs is set to be released on August 1.